Ms. Pac-Man is the follow up to the smash hit Pac-Man. It was not actually designed by Namco in Japan, but by a couple of young entrepreneurs in America running a company called General Computer Corp. which designed conversion kits for existing games. 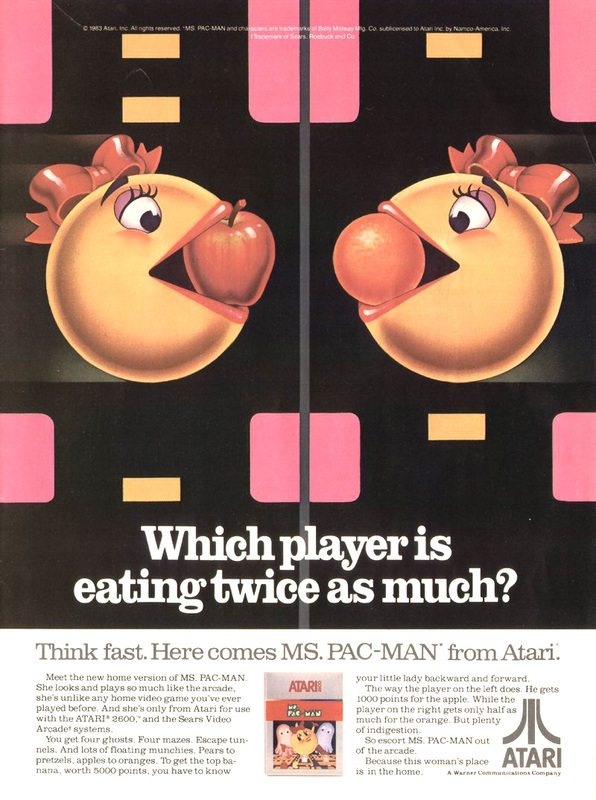 The Atari 2600 version, which this ad is for, is way way way better than the original port of Pac-Man.